One of our favorite places in the park to catch the beautiful light on the rocks of Zion Canyon at both sunrise and sunset is the Pa’rus Trail. In the Paiute language, Pa’rus means “bubbling water” and the several bridges crossing the the North Fork of the Virgin River show why this is the perfect name for this little oasis. Views of the West Temple, the Towers of the Virgin, the Watchman, the Eagle Crags and many other notable peaks in the park are excellent along this trail. Often at dusk you’ll see dozens of photographers lined up along the bridge at Canyon Junction fighting for a spot to shoot the sunset, but little do they know they could walk a few yards down the Pa’rus and have an amazing vantage point, without the crowds! You can also catch the sunrise lighting up the West Temple if you are out and about early in the morning. If you are on Pa’rus during the month of April, keep an eye out for some of Zion’s amazing wildflowers blooming along the trail. You are sure to see some bright prickly pear flowers, as well as the fragrant Palmer Penstemon. The Pa’rus trail is the only one inside the park boundary that allows leashed dogs as well as bicycles. If you are planning on putting your bicycle on the Park Shuttle, riding up Pa’rus to Canyon Junction is preferable to riding on SR9 to avoid traffic. The Pa’rus trail is paved for the entirety of its 1.7 mile length, so it is accessible for wheelchairs and strollers. If you are at the Visitor Center and there is a line for the shuttle, why not head north from the VC, cross the bridge over the Virgin River, cross the road to the campground, and get on the Pa’rus Trail. About 1 mile up the trail you can access the Human History Museum (shuttle stop 2) on a dirt path to the left of the trail, or continue up to Canyon Junction (shuttle stop 3) and access the Park Shuttle from there. 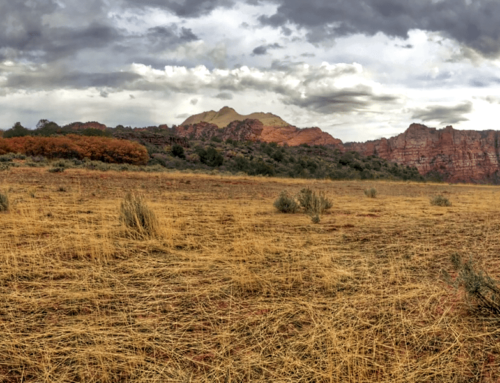 At the end of the day, the walk down the Pa’rus from Canyon Junction can be a great way to finish your adventure in Zion Canyon. 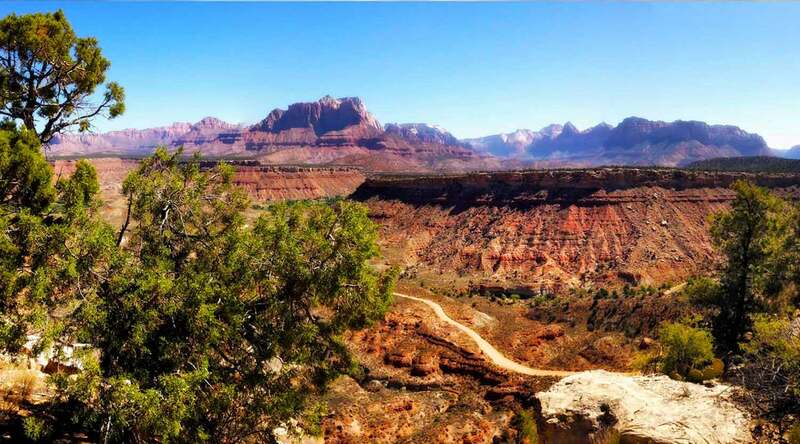 We consider the Pa’rus Trail to be one of Zion’s most under appreciated trails, a hidden gem that makes a great way to begin or end any day in Zion! We always carry a map in our daypack! The best– waterproof and tear resistant. Birdwatching, looking for climbers on a rock face or searching distant views– we never leave home without our trusty binoculars. Go with quality and they will last you a lifetime. We recommend that parties stay together, but in the event you do split up, walkie talkies aren’t a bad idea, especially since cell service is spotty or non existent in the park.